A few years ago I was visiting a friend’s farm in Eastern Washington. It was late fall, and winter was right around the corner. We sat at her table and she asked me if I would like some peaches she had picked from her garden. I was confused, peach season had ended months ago. She reached into her freezer and pulled out a big bag of frozen peaches, threw them in a pot, and heated them with a little honey. As we sat there chatting and enjoying the still extremely flavorful peaches I decided I would never go into a winter again without a supply of my favorite local produce in my freezer. Fruit season may be over but that is no reason to stop enjoying the jewels of the summer. 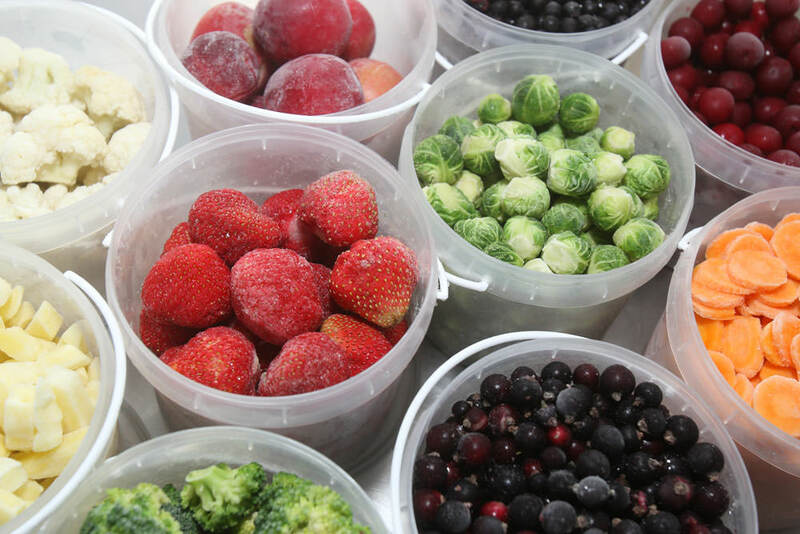 Below are some of my favorite fruit picks to freeze. And remember, the sooner you freeze them the more nutrients they will retain! For a simple sweet dessert in the colder months, stew any of these fruits with a small amount of hot water and honey. Yummy! It’s true that the colder months deliver us a diverse assortment of vegetables. It’s also true that I am a huge proponent of eating seasonally. However, I just can’t deny that some of the summer vegetables taste absolutely fantastic in a winter stew. Below are some of my favorite vegetables to freeze in the summer and enjoy in those colder months. Hint: The vegetables won’t be crisp like they are when they are fresh, so stews and casseroles are the way to go with these guys.